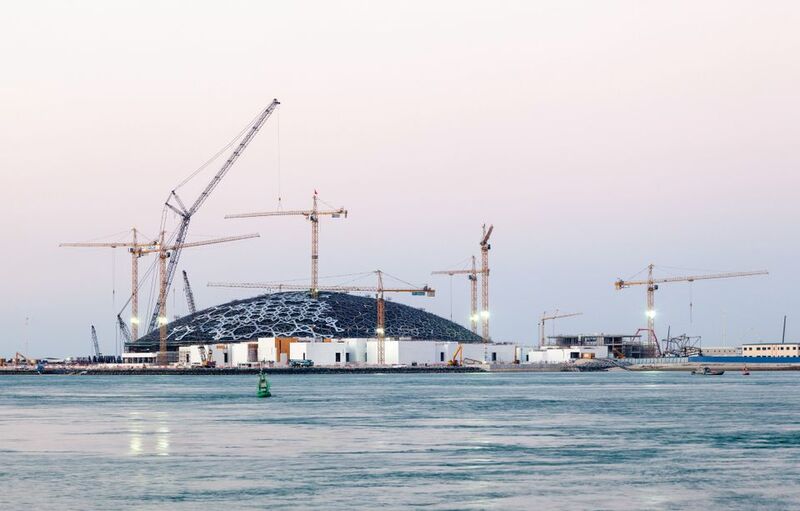 Waagner-Biro, the Austrian steel engineering company that built the dome of the Louvre museum in Abu Dhabi, has announced its insolvency and is fighting to save parts of its business by selling off subsidiaries. Austrian press reports say that delays in payment and spiralling costs of the Louvre project were chiefly to blame for the company’s struggles. Waagner-Biro announced the insolvency of its subsidiary SBE Alpha AG on 23 October and said in a short release that “the remainder of the group is in danger of insolvency”. A week later, it announced the holding company Waagner-Biro AG's insolvency, and said the entrepreneur Erhard Grossnigg would buy and reorganise another subsidiary, Waagner-Biro Austria Stage Systems AG. On 7 November, it announced “intensive talks” on the future of Waagner-Biro Bridge Systems AG, another subsidiary. The dome created by the company for Louvre Abu Dhabi is the size of five football fields and is perforated to create the effect of a bazaar, with oriental patterns that can shift into a chaotic tangle of light designed to resemble a starry sky. It was designed by the French architect Jean Nouvel. According to Waagner-Biro’s website, the order value was almost €80m. But the company was forced to shoulder an increase in costs after Abu Dhabi refused to pay the full price, the Austrian newspaper Die Presse reported. “We learned a lot with the Louvre, and we wouldn’t do it again today,” said Thomas Jost, the former chief executive of Waagner-Biro, to Die Presse in 2017. The company was founded more than 160 years ago as a locksmith’s workshop. Its high-prestige projects included installing new stage engineering at the Sydney Opera House and at the State Opera House in Berlin, building the dome of the Reichstag in Berlin, the roof of the Queen Elizabeth II Great Court at the British Museum, and Botlek Bridge in Rotterdam, the largest lifting bridge in the world. The company had more than 1,300 employees working in 17 locations in Europe, the Middle East and Southeast Asia. Abu Dhabi’s Tourism Development and Investment Company did not respond to a request for comment.